Working in the web browser space has been interesting lately. Opera dropping Presto browsing engine, Opera and Chrome announcing their departure from Webkit, and today Rockmelt (a VC backed browser player with $40 Million in VC) has announced that they are shuttering their desktop social browser. I remember when Rockmelt first launched in 2008, at the time i was at Flock- the Social web browser (the original VC backed social web browser play). The Flock team crowded around a screen, anxiously reading the news on techcrunch of our copycat competitor. At the time our take away was that they 1 for 1 copied Flock's social browser idea. It was uncanny, however Rockmelt was built on top of Chromium and not Firefox (Flock was mostly Firefox based, except in its last days when its last few versions were chromium based). Everyone at Flock knew that Rockmelt had the upper hand since Chromium was a more modern foundation at the time (compared to FF 3.5) . Flock didnt last too long after that point, as it exited via acquisition by Zynga. Meanwhile Rockmelt powered on for the next 5 years assuming the mantle of the "Social Desktop web browser). 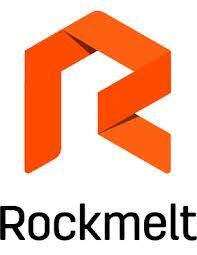 To be honest, Rockmelt took some of the learnings discovered at Flock and applied them. They pushed the envelope further then Flock ever got a chance too. Nevertheless it was not enough to carve out a beachhead against the chrome powerhouse (which just recently broke through to over 50% marketshare of desktop web browsers). I salute the Rockmelt team for fighting the good fight, and sticking to their guns until the 11th hour. Now their Desktop social web browser is joining Flock in the deadpool . The silver lining is that Rockmelt is not completely dead. In reality they launched an iPhone and iPad browser 3-4 months ago. Their new iOS apps were 65% news reader and 35% web browser. 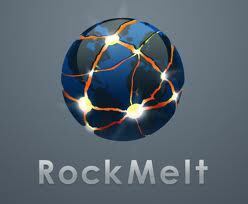 But having said that if you wanted to you could go to a URL or search google through the Rockmelt iOS app pretty easily. 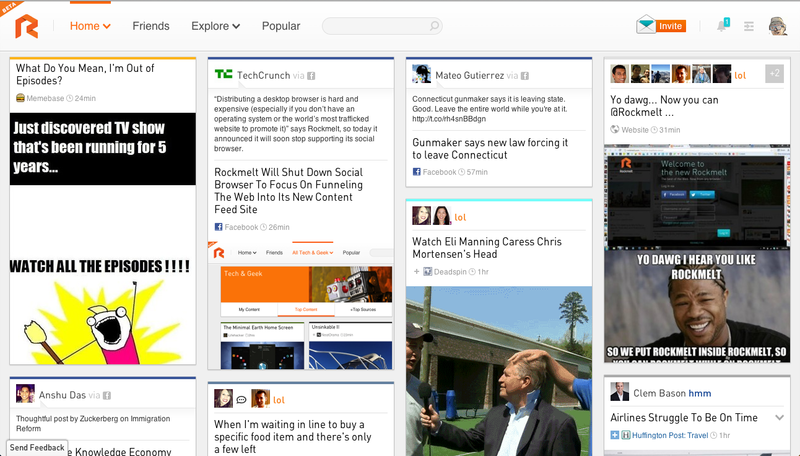 There is a pretty good browser core hidden underneath a social reader layer. Apparently, these apps have gotten hundreds of thousands of users that are "highly" engaged. This pivot is getting new wind today, as Rockmelt announced that Rockmelt.com will bring a web version of the social reader experience so that it is more widely accessible. Nice post, very informative. Thanks for sharing this information with us.